If your retail business has an online arm, 2018 is shaping up to be a prosperous year for your company. I'm not one to pluck statements out of the sky, however, and I'm basing this on some cold, hard numbers. 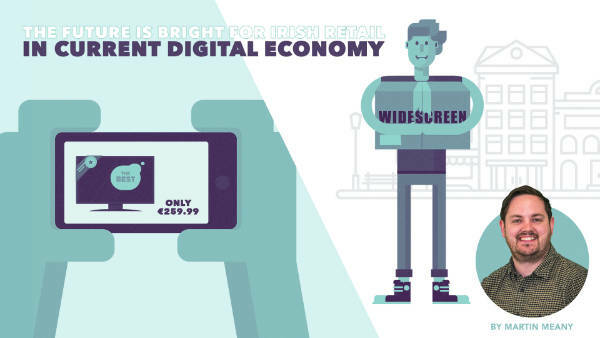 The 2018 Irish Online Economy Report is Wolfgang Digital's ninth deep-dive into Ireland's digital economy as we take the nation's digital pulse, making predictions for what lies ahead in 2018. The study, which looks at a collection of data from websites which generated over €240 million in online revenues between 2016 and 2017, shows Ireland's digital economic health to be in great condition. During the period, e-commerce sites recorded a 45% upward surge in revenue for a third year in a row. The average online shopper will now check out with €147 worth of products in their digital basket and while smartphones remain the dominant research devices, maintaining a lion's share of traffic at 51% the vast majority (58%) of people still complete their transaction on desktop. With that said, the number of people converting on mobile (30%) has increased by 15% since 2016, buoyed by the general public’s increased desire to shift their spend from bricks to clicks. This is supported by Wolfgang's study finding a 14% increase in web traffic yielding 32% more transactions. It might feel like Black Friday was only yesterday but we all know it won't be long until that day of madness descends upon retail again. Just like Christmas a few years ago, the talk of Black Friday sales starts in organisations long before the event itself; and for good reason. In 2017, retailers saw revenue taken on Black Friday jump by 56% over 2016. However, Q4 revenues only grew by 10% which indicates that bargain-hunting consumers have shifted their spend to the margin-eroding day of discounts rather than contributing to the incremental growth of Q4 sales. With consumer desires now firmly set on bagging a Black Friday bargain, what should retailers do? Shut the doors, ignore the demand for discounts and rock back and forth until the sun rises on the following Saturday? No, not quite. 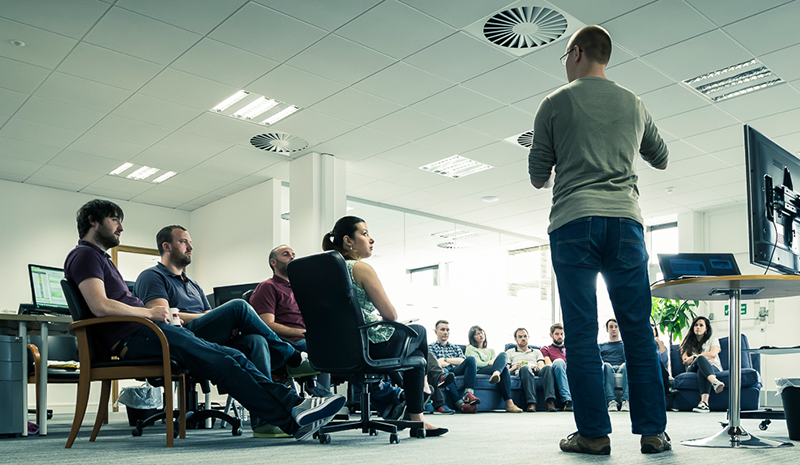 Black Friday provides a fantastic opportunity to build your base of customers. People are ready and willing to spend online, try out your site, go through your checkout and become your customer. This makes Black Friday a massive acquisition event, once you have a strategy in place to retain. Naturally, you can expect some ad spend to migrate towards digital media owing to the increased volume of online transactions witnessed in 2017. If you think such growth will stagnate in 2018, you'd be very much mistaken as ROPO reporting is set to take e-commerce teams by storm. ROPO stands for Research Online Purchase Offline and surrounds the indirect influence online advertising has on in-store sales. Digital marketers have known for years that our hard work in Google Search, on the display network and through social media has been generating untraceable offline sales. In Wolfgang, we've been experimenting with ROPO and my colleagues discovered at least 1-in-8 sales made in store have been influenced by an AdWords ad click. Now, our methodology in getting to that figure isn't perfect and doesn't give a true reflection of digital influence in-store because that's a conservative figure. We believe online ads are driving much more than that with both Google and Facebook agreeing with us. 2018 looks likely to be the year of ROPO reporting and we expect the advertising duopoly that is Google and Facebook to make that much easier for Ireland's retailers. Both Wolfgang's research to date and innovations from both Facebook and Google are crucially powered by the consumers' personal email address. Obtaining these in-store has become increasingly prevalent in Ireland with many retailers offering to send you an e-receipt, email you a warranty or providing a loyalty card linked to your email. If you are a multichannel retailer, creating a digital infrastructure which offers consumers either email-powered receipts, warranties or loyalty cards should be near the top of your list for 2018. Of course, be sure to create these systems within the confines of GDPR. Irish retailers need to start looking beyond our shores for potential too. It remains quite likely that Brexit will dent digital trade between Ireland and the UK, but this takes place within the context of reduced friction to trade within the EU. The EU offers a population eight times larger than the UK, making the potential for Irish retailers undeniable. As part of the European Union's efforts to create a Digital Single Market the EU is rolling out initiatives such as the Second Payment Service Directive to further ease and secure cross-border payments. Furthermore, in December 2017 the EU committed to making cross-border parcel delivery costs lower and more transparent to encourage online retailers and consumers to look beyond their home borders. Strides have already been made into making cross-border e-commerce between EU Member States more accessible. This will only become easier with time increasing either the opportunity or competition for Irish businesses. Which that of these outcomes is true depends on how quickly businesses act. With 6% of the Irish economy now taking place online we sit ahead of the European average of 5%, however, the chasm between us and the UK’s 12% indicates there is still plenty of room to grow. Brexit should provide the ideal proving grounds for Irish businesses on the EU stage. To date, e-commerce growth has largely been driven by the digital media duopoly that is Google and Facebook. Their influence won't be leaving the e-commerce world anytime soon but in 2018 businesses will have more weapons in their arsenal. Pinterest is one of the most exciting platforms to emerge from the shadows and challenge the power of Google and Facebook by providing intent-based visual search to take on Google and Facebook beating engagement and value. It's also critical that Ireland's retailers keep an eye on Amazon. The Seattle-based e-commerce giant is now attracting more product searches than Google and their UK online store has discreetly started paying more attention to the Irish market. Amazon is also rumoured to be improving their own advertising platform and should they make it possible to easily develop this along with a 'import AdWords Campaigns to Amazon' button, advertisers will see massive chunks of ad spend migrate to Amazon instantly. Finally, multichannel retailers should look to introduce ROPO friendly infrastructure to their businesses. The key to ROPO reporting is having a digital touchpoint during the in-store sales process. This often comes in the form of an e-receipt, emailing a warranty to the customer or providing a loyalty card which is linked to the customer’s email address. With this in hand, your business will better understand the influence of your digital marketing efforts on your overall sales process.